Try Continuous Ink System with your Brother DCP-6690CW and make 30 times more quality prints for the same money! Pay only 0.04 USD for A-4 full color print! The usability of such a device as inkjet printer, its high speed and high quality of photo printing makes it prefect to use it for work both at home or in a small office. CISS brother dcp-6690cw is an add-on equipment, which is used with inkjet printer. It performs ink supplying from the refillable large-sized reservoirs to the printing head. As a rule, the capacity of each reservoir is 80 ml. The standard capacitance of cartridge, which is installed on the printer, is not more than 20 ml. To change an empty cartridge you need to stop the printing process. CISS dcp-6690cw with the capacity of 50-100 ml allows you to print without interruption. If the reservoirs run out of ink, you just have to refill them, and at that you shouldn't stop the printing process. It must be said, that cis brother dcp-6690cw, as well as its fellows in this class ciss for brother mfc-685cw and ciss for brother mfc-290c, is represented a device, which is consists of the ink tanks, connected to the cartridges, similar to original ones, via a multiple silicone loop. Such ink supply systems as ciss ink system brother dcp-6690cw will be perfect both at home and in office. Of you use them; the printing expenses come to the ink cost, but not to the expenses on high-priced consumable materials. It leads to the great financial and time savings for color inkjet printing. The capacity of the external tanks (80ml each) exceeds the size of standard cartridge by 8 times at the average. Taking into account the fact, that to print one photo of A4 format, 1-1.5 ml of ink is used at the average. The system allows you to print hundreds of photos without interruption. The user just has to add ink to the reservoirs once in a while. Moreover, you could refill them even during printing. CISS for dcp-6690cw is a ready for operation set, which you just have to connect to your printer according to the enclosed detailed instruction. The characteristics of ink, which is supplied with the device, meet all the requirements of the manufacturer of inkjet printers Brother. By using ciss for brother dcp-6690cw with your printer, you will spend money only on buying ink, which could be added to the reservoirs. At that, the ink cost will be lower, than the cost of original cartridges by several times. 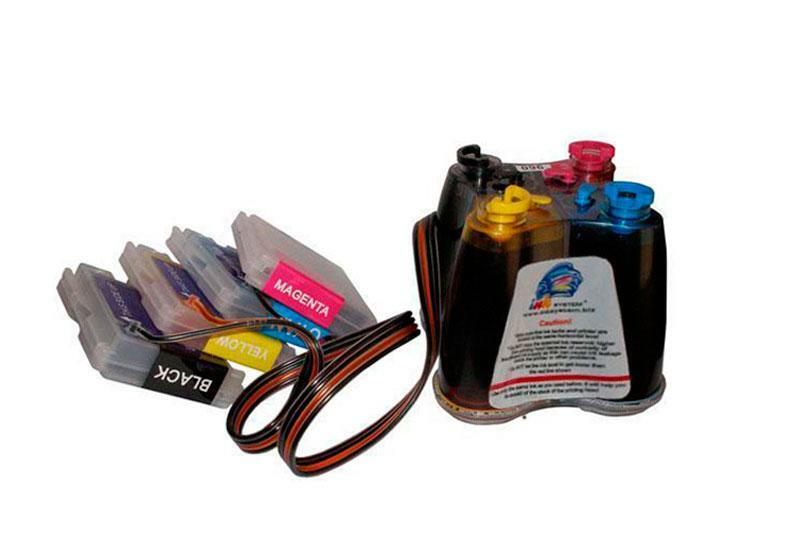 For example, one liter of qualitative ink costs about 40 dollars, and one cartridge, which has 10 ml of ink, costs about 10 dollars. The difference will be immense, and this fact influences the printing cost of photos.